eBay.Inc is an American multinational e-commerce Marketplace founded in 1995 by Pierre Omidyar, headquartered in San Jose, California. It us a global leader in online auction market, with Marketplace and Stub Hub as major subsidiaries. Businesses and individuals can use the Bill Me Later feature or even PaypPal for payments in order to securely send or receive online payments. eBay’s strategy is “Delivering the best choice, the most relevance and the most powerful selling platform.” eBay has an employee base of around 14,000 as of 2018. 1. Strong brand positioning and value: eBay’s strong brand positioning contributes it for being the major player in auctioning, ticket exchange services and classifieds over the internet. If people need to sell something online, the first platform they go to is eBay. It is because of this trust in customers that eBay has a strong brand image, hence making it a major competitor of Amazon. It also has a strong bargaining power with the huge market share of online stores. The company has also ranked in the Fortune 500 list for the last 13 consecutive years with a rank of #309 in 2017. 2. Leading in innovation and technology: Digital technology has become imminent in the e-commerce platform. Being a global leader in auction marketplace, it requires handling and management of large amounts of data. For that, it uses advanced technology infrastructure to simplify this complexity. To make the lives of buyers and sellers easier, it has introduced an intuitive user interface with secure network to help the users transact over internet. This has helped eBay increase its efficiency and scalability and will allow it to use technologies such as Kubernetes, Envoy Proxy, MongoDB and Apache Kafka. Ebay has also built an in-house Artificial Intelligence (AI) engine using new technologies which will help it to offer new products and enhance its customer experience, thus further strengthening its e-commerce platform. Implementation of AI, voice and image technology, augmented reality and distributed commerce in its products and services which will also help eBay to further strengthen its competitive advantage. 3. Strong e-commerce platform supported with robust infrastructure: Being a very strong e-commerce platform, it has a well-connected and robust network of buyers and sellers from around the globe, henceforth leading to a Gross Merchandise Volume of $88.4 billion (2017), of which 59% was generated outside United States. Gross Merchandise Volume (“GMV”) as defined by Ebay is the total value of successfully closed transactions on its Marketplace and StubHub platforms. By the mid of 2018, it had around 175 million active users and more than 1.1 billion listings globally. The company is also completed its platform infrastructure revamp process 2018 which included building its custom-designed servers. Having such an advanced global infrastructure might play a significant role in penetrating markets of new products. 4. Growth and expansion of StubHub: StubHub owned by eBay is the world’s largest ticket marketplace as of 2018. It not only reconceived the ticket market place through its innovations since 2000, but has made it a single stop for customers of over 40 countries allowing them to buy tickets for more than 10 million live sports, music and theatre events. Moreover, after acquiring Ticketbis in 2016, I has managed to add a further 40 locations to its profile. It is now one of the major revenue growth drivers for eBay. StubHub revenues have grown at a faster pace than eBay’s core marketplaces revenues and its GMV has increased at a CAGR of almost 17% from 2014 through 2016. StubHub has over 200 partners including major leagues like MLB, NBA, NHL, MLS and NCAA. 1. Bureaucracy and red tapism in some emerging markets may hinder growth: There is also a sense of protectionism, increased regulations and red tape in countries such as China and India which may increase cost of doing business and prolong investment delays. Other countries such as Russia, Argentina and Brazil have a lot of red tape and have a culture of Uncertainty Avoidance and slow decision making. Thus eBay may face hinderance and delays in their expansion plans in these countries which are some of the world’s major emerging markets. 2. Increase in trade protectionism measures: With the Trump administration engaging in trade protectionism measures, US based companies such as eBay may face retaliatory measures in other countries in Euope and Asia. Google, Apple, Facebook and Amazon have already been targeted by EU in 2017 and 2018 with regards to tax issues, regulations and data privacy. Amazon is under an EU inquiry over the data it collects from retailers on Amazon Marketplace. Further post Brexit, there is uncertainty on the UK’s access to the European Union market and the wider trading. This will also lead to governments supportive of local e-commerce players limiting opportunities for global companies such as eBay. 1. Exposed to fluctuations in foreign currency exchange rates: eBay generates majority of its revenues outside the United States but report its financial results in U.S. dollars, it is are impacted by fluctuations in foreign currency exchange rates. In FY2017, eBay’s international revenues stood at US$ 5.47 billion or 57.2% of its overall revenues as per its annual report. Thus an unfavourable movement of the US dollar against other major currencies in which eBay generates its revenues would impact the bottomline of the company. 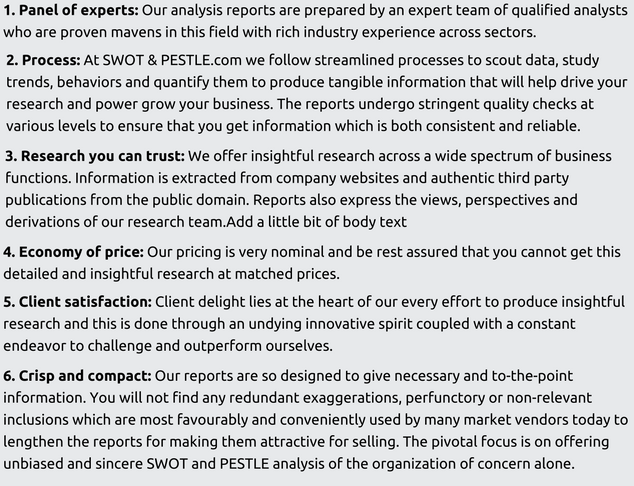 SalesPredict Advanced analytics 2016 Acquisition The acquistion of SalesPredict will help in eBay’s artificial intelligence, machine learning and data science areas and strengthen eBay’s structured data efforts. 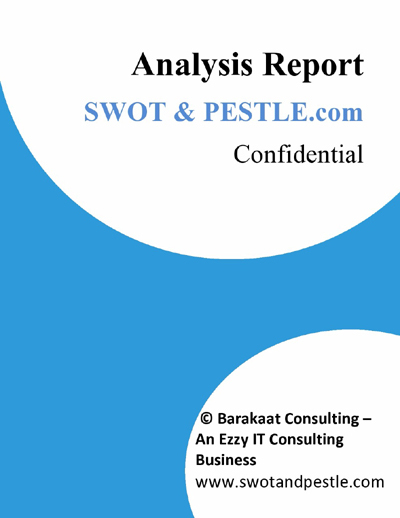 eBay SWOT and PESTLE analysis has been conducted by Jayati Garg and reviewed by senior analysts from Barakaat Consulting. 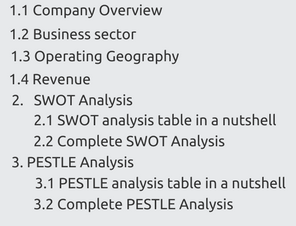 Copyright of eBay SWOT and PESTLE Analysis is the property of Barakaat Consulting. Please refer to the Terms and Conditions and Disclaimer for usage guidelines.